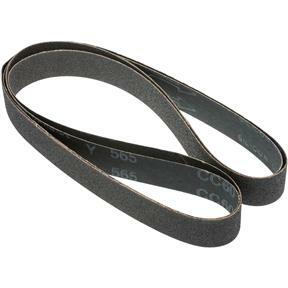 1" x 42" S/C Sanding Belt 60 Grit, 2 pk. Woodstock - 1" x 42" S/C Sanding Belt 60 Grit, 2 pk. These silicon carbide 60 grit 1" x 42" sanding belts are sized right for all of your belt sanding needs and are sold in a 2 pk. It is good to find belts that work for my unit which I bought at least 30 years ago. Great shipping, fast and effective. Product is as advertised. I will most assuredly order from here again!